I am lucky. I’ve been a reader all of my life. Libraries were magical places for me. And my bedroom was my reading landscape for writers from Dr. Seuss to Shel Silverstein to L.M. Montgomery, and eventually to my own set of Tolkien. When graduating from high school, my beloved high school English teacher anointed my head with the prediction of me becoming an English teacher despite my insistence of becoming a sports therapist. She won, and I still have the grammar books she bequeathed to me on the spot. I don’t think that you have to be a great reader to be a great writer. However, I do think that you have to know what you like to read in order to decide what to write. You also have to know what you don’t like to read in order to narrow down the vast possibilities of choices. As a student of literature and eventually a teacher, I’ve read lots of “classics”. Jane Austen, Charles Dickens, Harper Lee, Edgar Allan Poe – I love them all. There are few books I’ve managed to truly dislike. However, there are those we love because they are the foundation of literature and there are those books that will take up space in our suitcases and cars when we’re escaping the oncoming zombie hordes (can’t you think of 10 books to take with you right now?). For me, there are books I love to teach because it shows students how literature reflects what was going on culturally at the time. Seeing them connect To Kill A Mockingbird to both the Depression era and the Civil Rights Movement is priceless. But I know that when it comes to my writing, realism never set my imagination on fire as much as writing that is, as I term it, slightly off. The first writer in that vein to ever knock off my socks was Poe with his “The Fall of the House of Usher” and other aberrant tales. Once I discovered Poe, I knew I wanted to be that twisted in my own writing. So now my bookcases house many of the books I deem essential. 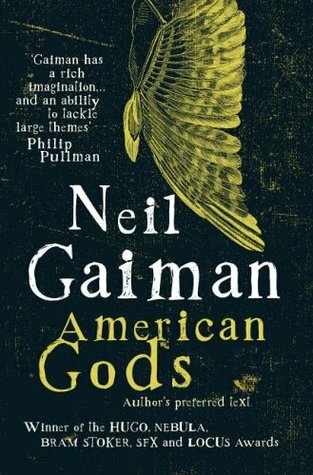 There are special shelves for my treasures – Neil Gaiman has his very own with a signed copy of American Gods on full display. And like any good writer, I’m hoping that someday, someone else will include my work on their bookcase shelf.